Whether you are planning to have your wedding on a snow-covered mountain top or you are thinking about exchanging your vows on a sun-kissed beach, planning your special day will be a bit different if you are traveling to a destination than if you were planning on having your wedding in your local area. If you are planning a destination wedding, meeting with vendors and going to the venue won’t be as simple. To help you make sure your destination wedding will be a huge success, here are some planning tips to keep in mind. You definitely want to plan a visit to the location. 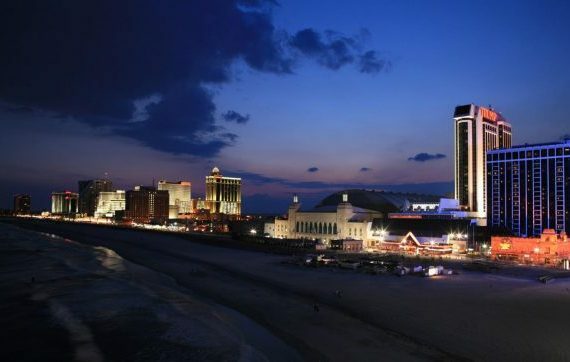 For example, if you are planning on having a wedding on the Jersey Shore, you are going to want to plan a tour to One Atlantic, the leading spot for destination weddings in Atlantic City, NJ. Take a long weekend or even a week-long vacation to our gorgeous location and check out what our rich area has to offer! You are going to be asking your friends and family to make a time and financial commitment to attend your destination wedding. Get them excited about it! To get them excited, send out fun save-the-dates with things to do in the area and plan out wedding favors with a local flair. Make sure you send out your invitations as early as possible. This will allow your guests to plan their trip accordingly, and give them time to save up the funds they will need. If the timeline allows, even consider sending out save the dates to give your guests the extra time to prepare. Your guests are going to travel far and wide to attend your destination wedding. Make sure you thank them for attending. You can pan a lavish welcome dinner and greet them with a welcome bag stuffed with local items. For some ideas on items you should give, just ask one of our professionals at One Atlantic. We love our town and we are proud to support local vendors! To find out more about our Atlantic City beach wedding packages, please give us a call today at (609) 343-9902!